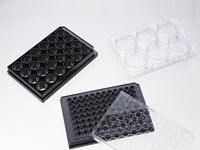 We are specialized in making glass bottom dishes, glass bottom plates and chambered cover slides and accessories for high resolution (live cell) imaging such as confocal microscopy and widefield fluorescence microscopy. 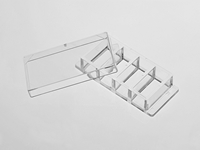 Our products include glass bottom dishes with different dish size and micro-well size; 6/12/24/96/384 well glass bottom plates and 4/8 chambered coverslips. Each with coverslips of different type and thickness. An increasing number of researchers are trusting our products for their application in high resolution imaging. View publication list. 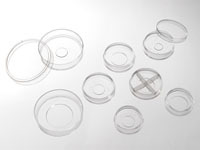 Our products are manufactured in a class 100,000 clean room to ensure maximum optical quality. A USP class VI adhesive is used to assemble our product (when applicable) to provide a non-toxic cell culture environment. 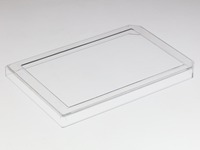 Find out more about how we make our glass bottom dishes and glass bottom plates.